Finally! I get to see bluebonnets. I sing a Nanci Griffin song about bluebonnets and have always wanted to know what they look like. This is beautiful - the picture, the poem. Wonderful! Thank you for this. Thank you, Tamar. I hope someday you can see the waves of them dance in the wind under the bright blue Texas sky. They are spectacular. Jeff, if you check out my Family photo album on my website you will see a photo of my sister Sue in a field of poppies in Israel. They come up at the same time as the bluebonnets I think. I miss them so much in the spring. 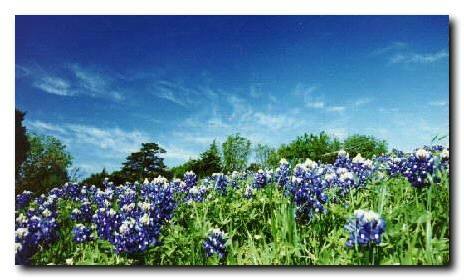 I will have to travel to Texas to see the bluebonnets for sure!